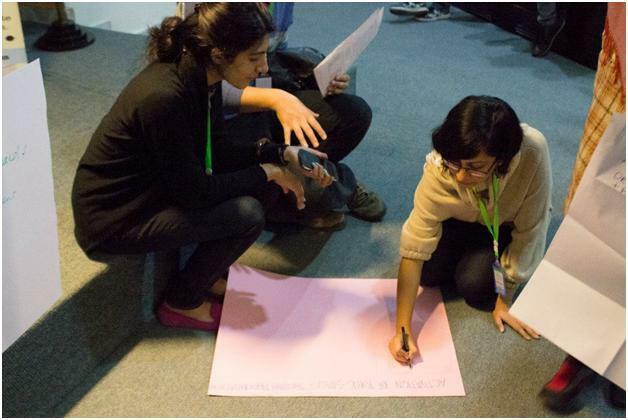 Islamabad finally got its share of the booming civic hacking scene in Pakistan as NUST SEECS hosted the first Civic Hackathon in Islamabad on February 20. The day began with Sheba Najmi, the founder of Code for Pakistan, introducing her team at the event and thanking all the partners who collaborated to make the event a possibility. After all the 98 participants gave 60-second pitches of their app ideas, they were asked to form teams with each other. Barring a few, almost all the teams required a designer, a developer and a journalist to market the app. It was interesting to see more women hackers participating in the event and coming up with brilliant ideas for apps that will make women more active in the tech scene. An app idea for a job portal just for women was proposed and received tremendous acclaim. The day ended with the formation of 22 different teams with varied product ideas around civic solutions. From crime-reporting systems, SMS services to social network collaboration solutions, the civic hackers had some pretty innovative ideas to change Islamabad forever. Know the Law: A central full fledged database search engine that stores information about all the laws for access by the general public. This will make the public aware of its rights and responsibilites. Blood Donors Directory: Members can sign up as active donors and will get a karma point if they donate blood and lose a karma point if they ask for it. If you need blood, an SMS is sent to 5 donors and they respond using the app. Once the blood is donated and the borrower has confirmed it, the karma points are added to the donor’s profile and subtracted from that of the borrower. Find.Fund.Fix.Fun (FFFF): A platform that gels different actors of the civil society into finding, funding and fixing their own problems and having fun while doing so. They aspire to be the biggest portal for completed and new social projects awaiting to be delivered. The three-day event over the weekend will include workshops on designing and coding from the veterans of the game to let budding entrepreneurs focus on the product while all the support services are taken care of.